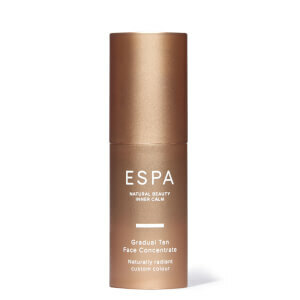 A deeply nourishing body moisturiser that works intuitively with your skin's biochemistry to develop a healthy-looking tan over four hours, while leaving skin soft, smooth and naturally bronzed. Plant Melanin works with tan accelerating DHA to create an even, longer lasting glow, Shea Butter and Sweet Almond Oil nourish and hydrate, while Jasmine, Rosewood and Ylang Ylang delicately scent the skin. Suncare warning: this product does not contain a sunscreen and does not protect against sunburn. Repeated exposure of unprotected skin while tanning may increase the risk of skin ageing, skin cancer, and other harmful effects to the skin even if you do not burn. For best results, lightly exfoliate skin first to enhance the effect of your tan. Colour gradually develops over four hours. Smooth evenly onto your body, taking extra care around dry areas such as elbows, knees and ankles. Wash hands after use and wait a few moments before dressing. Apply each day to achieve your preferred depth of colour. Water (Aqua), Isopropyl Palmitate, Caprylic/Capric Triglyceride, Dihydroxyacetone, Prunus Amygdalus Dulcis (Sweet Almond) Oil, Cetearyl Alcohol, Glycerin, Butyrospermum Parkii (Shea) Butter, C12-16 Alcohols, Phenoxyethanol, Glyceryl Stearate SE, Sucrose Cocoate, Xanthan Gum, Palmitic Acid, Lecithin, Melanin, Sclerotium Gum, Aniba Rosodora (Rosewood) Wood Oil, Benzoic Acid, Linalool, Cananga Odorata Flower Oil, Citrus Aurantium Bergamia (Bergamot) Fruit Oil, Lavandula Angustifolia (Lavender) Oil, Dehydroacetic Acid, Limonene, Phytic Acid, Citrus Nobilis (Mandarin Orange) Peel Oil, Coriandrum Sativum (Coriander) Fruit Oil, Eugenia Caryophyllus (Clove) Bud Oil, Pelargonium Graveolens Oil, Pogostemon Cablin Leaf Oil, Eugenol, Sodium Hydroxide, Ethylhexylglycerin, Acacia Decurrens Flower Extract, Jasminum Officinale (Jasmine) Flower Extract, Salvia Sclarea (Clary) Oil, Geraniol, Citronellol, Benzyl Benzoate, Cistus Ladaniferus Resin, Citrus Aurantifolia (Lime) Oil, Ferula Galbaniflua (Galbanum) Resin Oil, Illicium Verum (Anise) Fruit/Seed Oil, Opoponax Oil, Rosa Damascena Flower Extract, Santalum Album (Sandalwood) Oil, Zingiber Officinale (Ginger) Root Oil, Benzyl Salicylate, Farnesol, Tocopherol, Citral. This is, by far, my favorite sunless tanning lotion! It’s gradual and creates such a nice glow, my friends tell me how great it looks on me! Lovely creamy consistency, nice smell doesn’t smell like other fake tans, easy to apply just apply like your own body moisturiser. Little streaky in places but soon rectified with another application. Leaves a nice subtle tan which you can top up each day to enhance the tan and leaves skin nicely moisturised.